In a recent post I went through 4 steps for developing a scalable and successful online retail business. In this post I wanted to touch on how raising capital fits in with the 4 steps. At this stage you have an idea but haven't yet developed the concept, nor launched and tested it. Shoes of Prey took us 9 months to get from idea to launch. Then we've essentially spent the last year tweaking the concept and satisfying ourselves that our product is something the market wants. 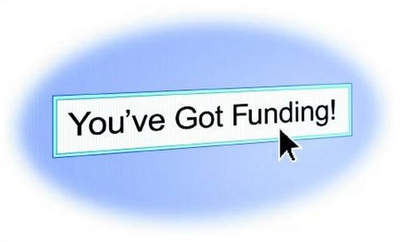 For this stage of the business you'll need a round of seed funding. For Shoes of Prey, Mike, Jodie and I funded this stage ourselves. We basically paid for the businesses costs as we went from our own savings and of course tracked this in our accounting system. At the peak we had put in a combined total of $150,000. Plus we have only drawn a very basic salary since launch, so there's a heavy cost in terms of our time too. If we had no savings and needed to draw a basic wage we would have needed at least $250,000 in seed financing to take us through developing the product concept. Realistically, unless you've got a strong entrepreneurial record or some great contacts angel investors and venture capitalists are unlikely to be interested in your business at this very early stage. A great place to start at this early stage is with an incubator like TechStars or Y Combinator in the US, or Startmate here in Australia, however these incubators are designed to provide advice and assistance more than significant startup capital. The simplest place to go to raise a seed financing round is friends and family. Coming up with a valuation for a seed round isn't a simple process. I've put this as a question to a number of venture capitalists and angel investors and there's no hard and fast rule for valuations. A good place to start though is to look at how much you need to raise, then take the process from there. If you need to raise $250,000 as we did at Shoes of Prey, how much of the business do you need to give away for that? One way to start is to look at what the business should be worth in 3-5 years time. Over that time period, given the risk involved a seed investor would generally be wanting to make a 3-5x return on their initial investment. If your business plan shows your business should be turning over $10m in 3 years time and making a $2m profit, at a reasonable 5x multiple your business will be worth $10m. With a 4x return for the seed investor, that makes your business worth $2.5m now, so you'll need to giveaway 10% of the business to raise $250,000. If you're raising this money from friends and family it's important to live by the old adage 'Do to others what you would have them do to you'. You want to be very open and upfront about the investment and the risks involved. The last thing you want is for your business to go under and your relationships with your friends and family to go down with it. You don't want to be encouraging people to invest their life savings in your product concept. There are also fairly strict rules around who you can raise money from and the types of information you're required to give them, so speak to a lawyer or accountant before going ahead with this or any stage of financing. Once you've proven the product concept you'll want to set your business up so that it's able to scale and grow quickly, and measure and work on increasing the lifetime value of a customer. Some of the risk has been taken out of the business in that you've proven customers like your product but there's still significant risk on the operational side in getting your business ready to scale and it may be that you've just found a niche group of customers who like your product and the mass market won't be interested. At this stage an angel investor or even the right venture capital firm might be interested in investing in your business or in an ideal case you can fund these two stages out of your own cash flow as we're doing with Shoes of Prey. If you're looking to raise money at this stage of your business you're going to face a similar valuation question as in step 1. The process for determining the valuation is likely to be similar, though you may be able to introduce the additional element of a potential exit if there is a good, potentially strategic acquirer who might be interested in your business in a few years time. If this is the case you might be able to put a good case forward for a higher valuation than the one outlined in step 1 above. For example Zappos and Diapers.com were both acquired by Amazon at higher valuations than 5x their annual profit. At this stage of the business you're looking to acquire customers at a cost that's lower than their lifetime value. If the lifetime value of a customer is $1000 and it costs $300 to acquire them, but the lifetime value is realised over 3-5 years you'll likely need funding at this stage of your business to acquire customers at scale. This is the stage of a business that venture capital firms love. The risk is greatly reduced because the business has a proven concept, is ready to scale and marketing channels have been found to acquire customers at a value less than their proven and measurable lifetime value. Venture capital firms are also often well connected and the right firm can often assist you in scaling and growing your business. Ideally at this stage of the business the greater certainty makes coming up with a valuation easier. A strong story about why your business is uniquely placed to scale into a significant sized business, backed up by sales and marketing data, and a strong case for a potential exit for the venture capital firm in 3-5 years, be it through an acquisition of your company or an IPO will put you in good stead to get a strong valuation at this stage of your business. If you've had experienced raising money for your startup, whether it's in the online retail space or otherwise I'd love to hear your thoughts in the comments. Cross posted to NETT Magazine. Fantastic post Michael as usual. The milestones you've laid out are entirely correct but in terms of valuation on seed financing, you're probably at the higher end. A seed deal is probably in the range of $1-2m pre-money. Forecasts at this stage are useless and no angel investor I know would care about whether you thought your business would generate $2m in year three. The valuation has more to do with the past experience of the entrepreneur but also the fact that investors want to feel involved as well. As a general rule of thumb, you'll give up about 20% of your firm each time you raise a round. So $250k, the post-money is probably closer to $1.25m, when you raise $2m as you're figuring out step 2 and 3, the post-money is probably $10m and then when you're scaling and raising $10-15m, then it's like post money of $50-75m. etc. Also, on Startmate it is certainly mentorship-driven but one other valuable point is that we hope to give our startups a greater probability of closing an angel round through the connections with the mentors, investor introductions, various demo events and so on. So even though it's $25k for the initial 3 months we work hard to make sure that if the startups do want to raise an angel round, then we work as hard as we can to make that happen. Hi Niki, great thoughts re: valutations, thanks. And excellent point about the additional value investors can add, whether it's angel investors getting involved in the business early on, Startmate offering mentorship and connections to angel investors or Pollenizer working with Spreets from the time they started to their recent $40m sale to Yahoo!7. great post Michael. In addition to VCs and angels, in some countries, governments run support programs for early stage start ups. You won't get millions of dollars from them, but for a small startup, $10K or $25K could be enough to get them over the hump. For example in Finland, there is an organization called Tekes which distributes its funds to miscellaneous projects (more here: http://www.arcticstartup.com/2009/08/14/here%E2%80%99s-how-to-get-funding-from-tekes). Can I just ask Michael & Nikki, are you saying that the first round say 250k should exchange 20% equity? I thought it would have been higher than that. Also any idea how much Spreets first round of capital was? Libor - Tekes looks like a great organization, good to see the government offering programs like this in Finland. Sally - Niki is suggesting to raise $250k you'd need to give away a 20% stake in the business. Exactly how much you need to give away really depends on the business model and the team you have in place. You need both to be strong to get any funding let alone early stage funding at this sort of valuation. I'm not sure how much Spreets raised in their first round.